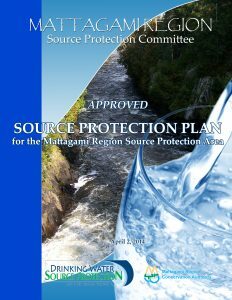 The Mattagami Region Source Protection Plan directs local efforts to protect and keep our sources of municipal water clean. The Plan was developed locally and uses a sound foundation of science and sets out specific activities and steps to address current and future contamination threats to the lakes, rivers and underground aquifers that supply water to our municipal water filtration plant. On April 2, 2014, the Minister of the Environment, Conservation and Parks approved the Source Protection Plan, marking a major milestone to address specific activities that could impact the Timmins drinking water system. The Approved Source Protection Plan took effect on October 1, 2014. If you need access to the Source Protection Plan or the Explanatory Document in another format, contact us at 705-360-2660 or send an email to sourcewater@timmins.ca.